When it comes to welcoming a little one into the world, you want to do so in a unique way to create a memorable childhood for your baby. 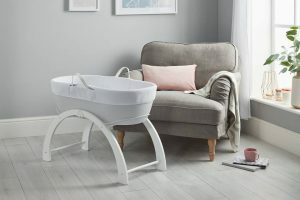 KJ Essentials was established by new mum Kelly to help friends and families throughout Australia find the perfect baby shower gift for their loved ones. 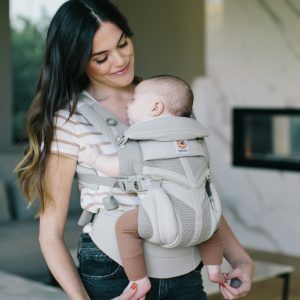 What began as a small business born from a mother’s intuition has evolved into a busy online store that sells a lovingly handpicked selection of award-winning baby products. Whether you are looking for those essential newborn items or a truly one-of-a-kind gift for the new parent in your life, we can cater to your needs and desires. We make shopping for baby products easy and stress free with our convenient online service. Browse through our extensive selection of items and you are sure to find the perfect gift for that upcoming baby shower. Furthermore, we offer delivery straight to your door all throughout Australia thus saving precious time so you can focus on the things that matter! Ordered the “smart lights activity gym” for my 2 month old & I couldn’t be happier with both the service and product. He loves it, keeps him occupied & tire’s him out, he’s always occupied in it witch no other play gym has ever done for him! So thankful, gives mumma a couple mins to get things done while he talks to the bright lights and kicks around! Best purchase! Thanking you! Great company to deal with, price was right, service and communication was excellent. Easy to use after pay, I was able to collect my purchase within a few days. So simple, highly recommended. We have placed 2 orders (Aroma Bloom and Skip Hop bath toys) with KJ Essential now and both times have been so easy – even with Australia Post doing the wrong thing! Thank you for great customer service and easy purchasing! Ordered on the 25th and everything has arrived today! So happy with them and quality. Was worried they wouldn’t suit our pram or our bottles would fit but they work in perfectly! Will definitely buy from you again and recommend to anyone! Very fast delivery and the hand written thank you note was a beautiful personal touch ? we are very happy with our little ones new skip hop silver lining playmat. Bean bag chair is great, fast delivery even over the Easter weekend, they have thought of it all, even the paper clip to open and close the safety zip, my little man loves chilling in his chair. Absolutely fantastic I ordered on Thursday afternoon my parcel was posted Friday morning and delivered Monday morning Can’t fault at all and absolutely love my item. I have bought a beanbag, elephant playmat and the owl nightlight. They’re all amazing quality! 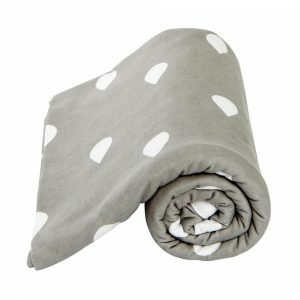 Perfect for my little grey and white nursery. I couldn’t be happier with my purchases. The option of afterpay is brilliant and takes away a lot of stress, shipping is fast . Not to mention; It feels even better buying from an Australian owned business. (Complete with a hand written thank you note from Kelly on the invoice) I would recommend this company to anyone. Recently ordered the SkipHop Chelsea Nappy bag in Black, it arrived so quick and I absolutely love it. So much more I want to order for this bub and having afterpay as a payment option means I will be able to afford everything I want as well. What fantastic service! Ordered my beanbag and lamb rug bundle on Monday & it arrived this morning (Thursday), thank you! I really liked being kept up to date with the delivery process ? can’t wait to give it to my sister at her baby shower next weekend! I have just received my parcel I ordered from you less then 24hrs ago! I also wanted to thank you for the amazing service you provide, and the quality of products you supply. I was desperate to have my purchase delivered before friday and with your advice and assistance you made this possible. Thank you once again for all that you do for your customers, you obviously have a great passion for what you do and your customer base. Thank you Kelly for your wonderful customer service, responsiveness to my enquiries and beautiful products. You have been an absolute pleasure to deal with and I highly recommend your online store. I love my little photo albums (and other keepsakes) and I am sure I will be able to fill them very quickly with pictures of my little girl. Thank you again. Kelly I cannot thank you enough for your assistance and patience. Your after sales service was brilliant. If only all businesses could provide the same level of after sales service life would be so much easier. Especially when you are a tired and confused new mum! The baby bean bag is a fantastic new concept that is a great alternative to a bouncer. An item that will grow with my daughter for years to come. The product has been well researched and the workmanship/fabric is of high quality. I purchased a gorgeous blue bean bag for my friend at work. I was able to pick up the bean bag, already filled, en-route to the baby shower! The mum-to-be absolutely loved the bean bag, and her little boy looks divine in it now! Highly recommended ? Such great service! I ordered a Skip Hop Vibrant Village Activity Gym for my bub (purely because i NEEDED that sausage dog tummy time pillow!) and received notification a few hours later that it has been shipped. It arrived this week and my little boy is loving it! Beautiful bean bag and great quality too. I am so very happy with my purchase. Thanks for the quick delivery too. I just wanted to say a huge ‘thank you’ for my lovely chevron beanbags for my twin boys which arrived today! I only ordered them on Monday night and was thrilled to receive them today! (I live in the Sydney region). Excellent service, super speedy delivery and a gorgeous product! Will definitely be recommending you to my friends ? ?